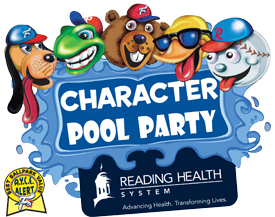 You never know which Reading Fightin Phils character you'll meet at the Reading Health System Character Pool Party. The two-and-a-half hour all-you-can-eat buffet is the ultimate family experience at FirstEnergy Stadium. Take photos and receive autographs with Reading Fightin Phils characters like the Crazy Hot Dog Vendor, the Fightin Phils Mascot Band, and many more! 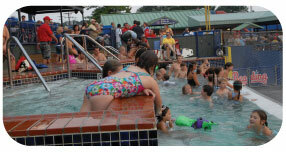 Other features of the Reading Health System Character Pool Party include unlimited access to the 87 degree heated pool, picnic table seating, and exclusive locker rooms, making the pavilion one of the most unique family-friendly destinations in Pennsylvania. 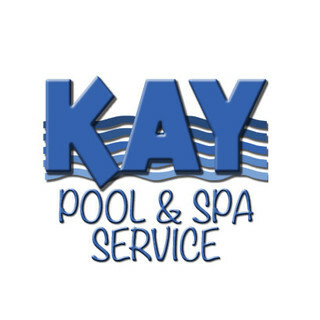 **Send an email to Jon Nally with all of your contact information, select an available date and list the amount of tickets you will need. Your reservation is not complete until you are contacted by an Fightin Phils representative and given confirmation. Please allow up to two (2) business days to be contacted. 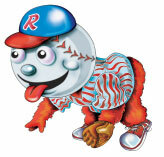 Thank you for your interest in Baseballtown and we look forward to making your outing a home run!